Shoes are quite expensive, so when possible, it makes sense to buy something that you can wear with multiple outfits. Gold or silver footwear is a particularly good option. These two colors fit in with practically anything. Provided they are not too garish they look stylish and can be made to work for most occasions. Plus, right now, there are plenty of choices available. If you click here you will quickly see what I mean. This retailer is currently offering a choice of nearly 200 different types of gold shoes and sandals. Every woman’s wardrobe should include at least a few classic items. These styles never really go out of fashion and have the potential to be used to smarten up your look, whenever necessary. Court shoes are a great example of what I mean. They are perfect for wearing with a skirt suit, but you can just as easily wear them with jeans or a dress. Including several pairs of classic shoes in your collection is a quick and easy way to give yourself plenty of choice. The height of the shoes you wear affects how elegant you look. If you choose a pair that is too high, or indeed too low, walking becomes difficult. When you feel uncomfortable and end up hobbling you will definitely not look your best. Heel height also has a significant impact on the shapeliness of your legs. 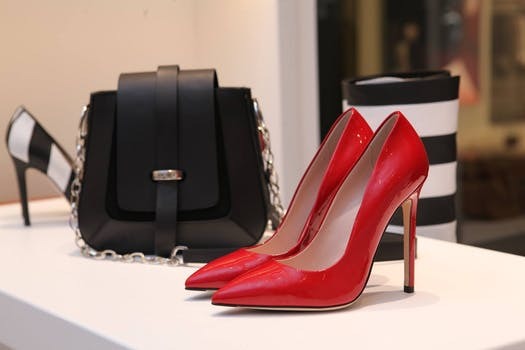 Plus, of course, wearing the right type of heels also has an impact on your health. Wearing the wrong height shoes can lead to malformation of your feet and, potentially, have a negative impact on your musculoskeletal system. So, learning how to choose the right type and height of heel is well worth your while. This in-depth article will tell you everything you need to know. No woman looks her best if the shoes they are wearing are scuffed or worn. So, it makes sense to buy the best quality footwear you can. Ideally, you want to have shoes, boots, and sandals in your wardrobe that are easy to keep clean. Try to buy the type of shoes, boots, and sandals that can easily be restored using products like polish. Hopefully, the above tips will prove useful. If you enjoyed reading this fashion-related post, why not take the time to read a few more. This one, which I wrote last month, is a particularly good starting point. What are some of your favorite comfy footwear? Please share in the comments! I love hearing from you!